Numbers of foreign luxurious car manufacturers are there in India who has been delivering good quality of luxurious cars in the Indian automobile market. Most of the foreign automobile car manufacturers are from German. One of the great German car manufacturers is Audi. Audi has picked one car from its luxurious car segment and that is Audi A7 which is going to be launched soon on 11th may 2011. Audi Company will be having tough competition with other luxurious car manufactures that are also launching many cars in the coming time. The most competitor of Audi will be Rolls Royce, Mercedes and BMW. 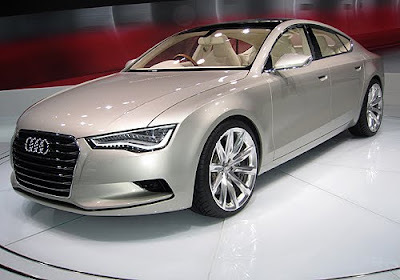 The Audi A7 price in India will be around 65 lakhs. The car is sure to rock the Indian roads and is also going to be the crowd attraction. 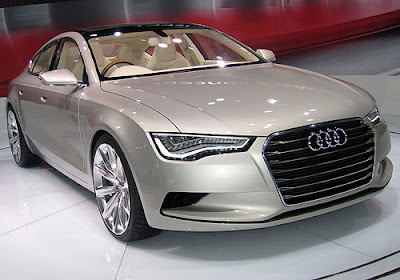 Audi A7 features are fantastic. The sleek and the color combination of the car are fabulous. There are lots of features of the all new Audi A7 which are really fantastic. The interior as well as the exterior are both glamorous. The glossy look of the exterior is the major attraction. Good focus headlamps are provided to the bike. The eye catching design of the bike is superb. The interior of the car comprises of comfortable seats which also includes power steering. The dashboard of the car also consists of many useful options. Audi A7 reviews are already updated on the internet. The engine specifications of the Audi A7 are simply unique. The Audi A7 will be available in two fuel variants. The petrol variant of the car is powered by a 2995 cc engine which can produce a maximum power of 300Ps at the rate of 6500rpm. The Audi A7 diesel version is also powered by 6 cylinder 2967cc engine which can produce a maximum power of 245Ps at the rate of 4500rpm. The maximum torque that is generated by the engine is 500Nm at the rate of 3250 rpm.